The competitive race DC runners have been waiting for all year long is finally just a month away. But with snow and cold weather, it’s easy to sideline a few training sessions for the comfort of your warm bed (no judgements here). 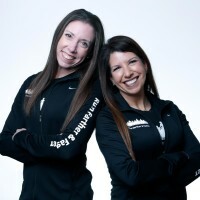 That’s why we reached out to Julie Sapper and Lisa Reichmann of Run Farther & Faster to help create this week-by-week guide of what runners should be focusing on and how they should be preparing for the Cherry Blossom Ten-Miler on April 3. But before we start going through Sapper and Riechmann’s tips, remember this: Do not begin training for the Cherry Blossom Ten-Miler a month away from race day, especially if you’ve never run a 10-mile race before. It’s an easy way to injure yourself, and no matter what, staying healthy and safe is the No. 1 rule of running a big race like the Cherry Blossom Ten-Miler. If you’re in camp No. 1, it’s time to figure out your race day goal. 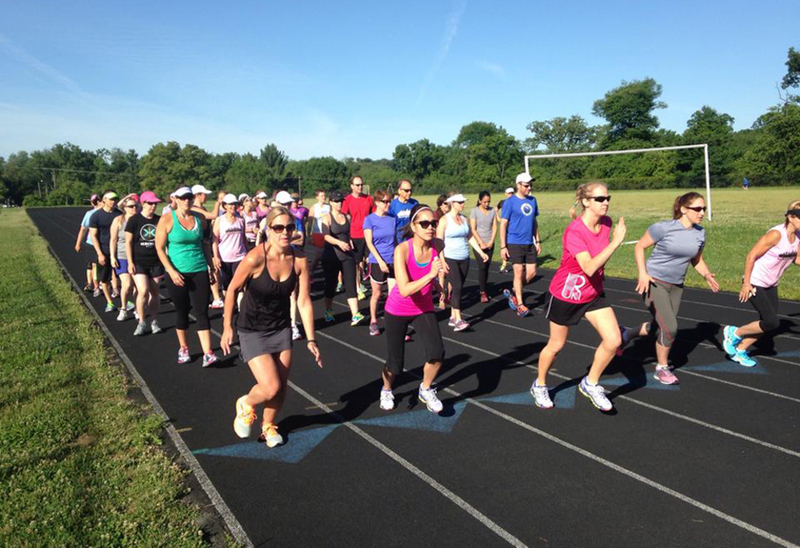 Are you trying to clock in with a 10-minute mile? Is this a training race for a marathon in the future? Are you just looking to cross the finish line? If you’ve struggled to keep up with your training through winter, don’t sweat it. Jump back in to the swing of things–gradually. “If someone hasn’t done any, or little, training up until now, it’s really important to not to increase their mileage in a panic to get to the race,” Reichmann says. And if you’ve assessed your goals and don’t think you can reasonably make it through the race, don’t put yourself at risk for a serious injury. “It’s really important not to injure yourself by doing one 10-mile race you’ve never trained for just because you signed up for it, and then potentially not being able to run for the rest of the season,” Sapper says. “One thing we always tell our runners is: If you’re going to need new shoes, you should get those shoes now,” Reichmann says. Running shoes will last about 300-500 miles, but it really depends on how intense your runs are, how you run, where you run, and how many miles you’re training for. Reichmann says if the first layer of rubber is starting to wear through and if you’re starting to have weird aches and pains in your feet, ankles, and even shins, it’s probably time to get a new pair of shoes. Before you go on a long run, what do you eat, what do you wear, how are you hydrating, and are you getting enough sleep? These are questions you should start thinking about 2-3 weeks away from race day. Then begin practicing (and since you live in Washington, you have the advantage of being able to train on the actual Cherry Blossom Ten-Miler course). Sapper recommends looking around your local running or athletic store for portable snacks that have healthy carbs to keep you going for 10 miles. Sapper and Reichmann’s favorites? Raisins, dry fruit, Larabars, and Honey Stinger products. And if eating during a run upsets your stomach, there are electrolyte waters and liquid options (like UCAN) that are easier to digest. “Anyone who’s ever done a race knows that if you’re not in it mentally, it’s very hard to engage yourself physically,” Sapper says. Take the time to think about how race day is going to look like for you. Visualize waking up early and eating breakfast, what it will feel like at the start line, how you’re going to feel at miles one through 10, what the crowds will be like, what it feels like pushing through the last few miles to the finish line. This way when you wake up on race day, you’ll be mentally prepared for the day. Tapering is the week or two before race day when runners start decreasing their milage and increasing their intensity. Your goal here is to not burn yourself out but also keep your legs sharp. Getting enough sleep–good sleep!–and hydration are important throughout your entire training process, but a couple weeks before the race is when you want to focus on rest and staying hydrated. The Cherry Blossom Ten-Miler is a notoriously crowded race and can become overwhelming quickly, so make sure you have a plan before race day. Are you driving, taking Metro, cycling, or walking? Where’s parking? Where are you putting your post-race belongings? What’s your corral? “Figure out all of that stressful stuff ahead of time so you don’t have to worry about it on race day and panic,” Reichmann says. Check out cherryblossom.org for packet pick-up information, travel advice, and course maps. You’re almost there–just one week away. The very last thing you want to happen is to get injured or sick, so really focus on staying healthy and taking care of your body. This will give you plenty of time to digest your food before the race, so you’re not dealing with stomach cramps or nausea while running. “For a ten-mile race, you don’t need to have this huge, caloric bowl of pasta before your race,” Sapper says. The lines for porta-potties, to get your bags checked, for getting to your corral are going to be long, and everything will take much longer to do than you expect. So do yourself, and your nerves, a favor and get to the race at least an hour ahead of time. “It sounds super early, but having extra time is much better than being in a rush on race day,” Reichmann says. The hoodie and sweatpants you wear to stay warm in the morning can go to local charities when you’re done with the race. 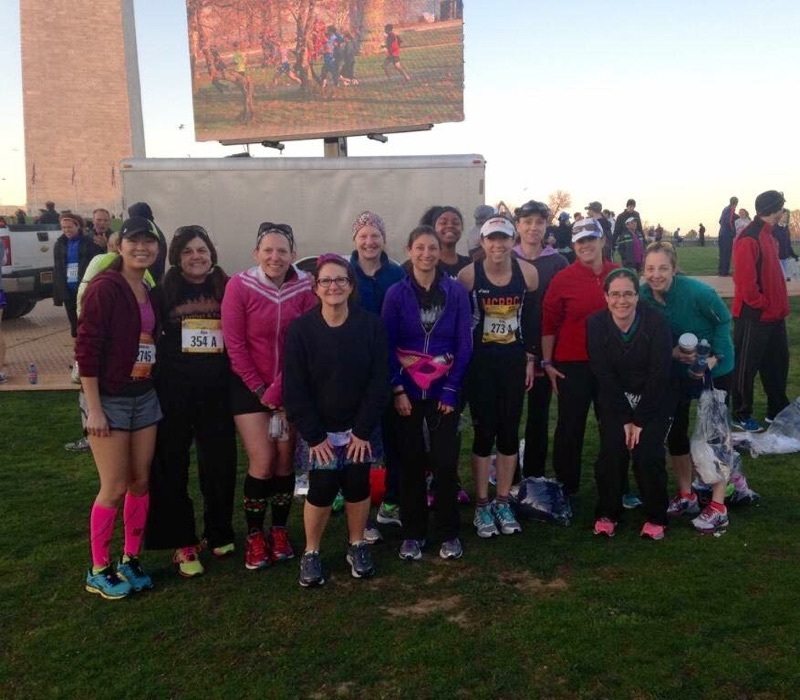 The Credit Union Cherry Blossom Run donates discarded clothes from the course and old tennis shoes to help reduce waste and promote sustainability. The first mile of the Cherry Blossom Ten-Miler is downhill, which can make it very easy to pick up your pace. When passing people stay on the left. “It’s a very crowded race, so it’s important to adhere to this race day rule,” Sapper says. “It’s really unfair to all these people who worked so hard if you’re in your zone and not hearing what’s going on around you and people can’t pass you,” Sapper says.